Another Missouri Pacific caboose (no. 13345) is caught at Forest Hill Crossing on Belt Railway of Chicago rails shared with the Chesapeake & Ohio, crossing the Baltimore & Ohio. The tracks in the foreground belong to the Wabash (now Norfolk & Western). 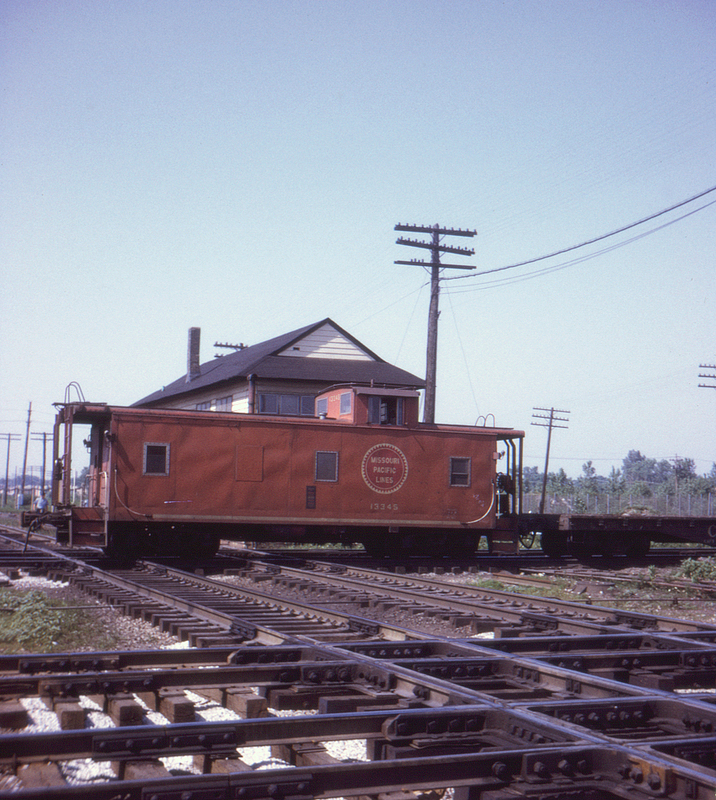 Note the Chicago & Eastern Illinois flatcar preceding the caboose; MP purchased the C&EI in 1967 to gain access to Chicago and is probably operating on interchange agreements originally created for the C&EI.